This scam tries to snare people searching online for phone numbers of government advice services, by creating ads which contain premium-rate telephone numbers. This scam tries to snare people who are searching online for telephone numbers of government advice services. It works by displaying an advert for the phone number of the relevant government advice line. All well and good, you might say. But the sting is that you’ll be charged a premium for using this advertised telephone number – in some cases, as much as £20 or £30 a call. You will be put through to the right advice line, but will be paying a very high and unnecessary connection fee. In comparison, calling the advice line directly by using the correct phone number is usually free or relatively low cost. 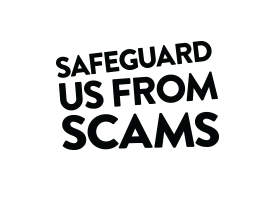 Searches for car tax discs, renewing your driving licence and completing tax your return are some of the areas currently prone to these premium-rate number scams. To avoid being ripped off in this way, you should firstly never use numbers beginning with 084, 087, 090, 091 or 098 when calling government advice lines. No official government service would ever use an 084, 087, 090, 091 or 098 number to deliver a legitimate government service. You can go to the official government services website to search directly for legitimate government telephone advice line numbers. This way you’ll always be able to find the right number to call directly for the service you want. Fraudsters can be very clever in their approach, so it’s not always easy to tell whether you’ve been scammed, or who to report it to.